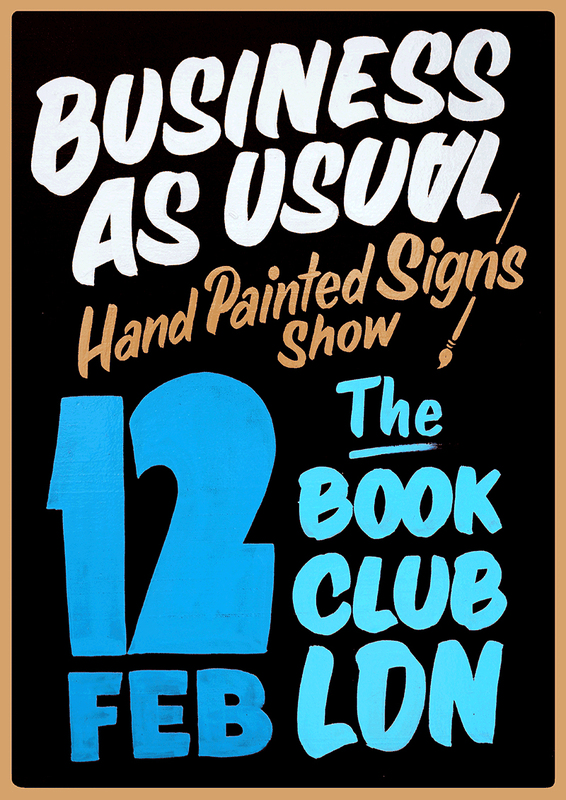 We revised February’s theme BULK into ANTI BULK and want you to keep your eyes and ears open for a new exhibition at The Book Club in Shoreditch on 12th Februray: Business As Usual. Come down for the launch at 6pm and discover how superior quality sign painters celebrate the love for letters and share their work. Hand painted designs will be presented which celebrate the delicate art of nonsense, promoting completely ludicrous products and services in the form of high quality signs. Information compressed on one sign: when less is more. When it comes to write less to achieve a greater effect we should also look at authors and their minimalist work such as Chuck Palahniuk who wrote Fight Club or Richard Ford who wrote the sequels The Sportswriter, Independence Day and The Lay of the Land. Palahniuk’s writing style has been influenced by the minimalist Tom Spanbauer and philosopher Michel Foucault and includes limited vocabulary and short sentences to mimic the way that an average person telling a story would speak. The idea behind signs (in general) might be different but the way its done is the same, as well as Palahniuks repetition of certain lines (which he calls ‘choruses’) as the repetition on signs: this is minimalist writing. Business As Usual presents the work of : Ash Bishop, Drapper Signs, Frisso, Ged Palmer, Dry British, Jack Hollands and many more. The artists will also produce a larger mural on the windows of The Book Club to celebrate the opening and work will be shown at Stories in Broadway Market. Have a look here for a short clip made by Drapper Signs and get down: 6pm – 2am at The Book Club in Shoreditch! Angelina Puschkarski. Journalism student at the University of Westminster. Passionate about art, music and theatre. Loves chocolate and bacon.